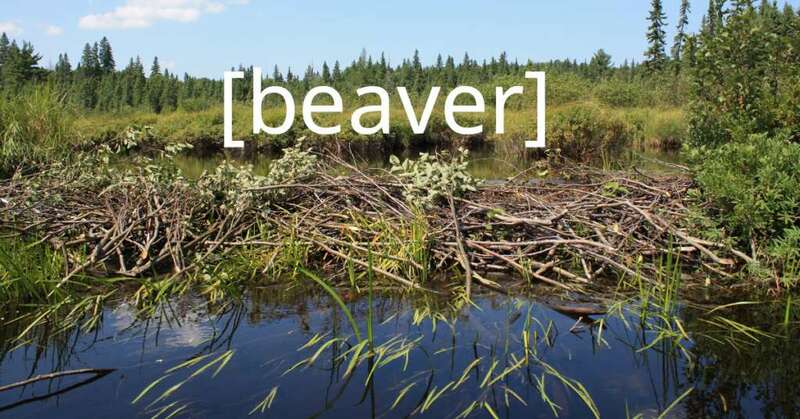 But, the method Beaver Builder suggests is complicated for many people new to WordPress or development in general. As they explain in this knowledge base article, you need to copy the copyright.php file from the main theme into your child theme directory to change or remove the “Powered By…” text. I used to do it that way. Templating is a great way to overwrite theme functions like this, WooCommerce templates, and more. But, unless you’re writing a theme from scratch, there’s a better method. The method below is better. What if the copyright.php file is updated in the BB theme? Your changes would overwrite those new updates. There are advantages to using the WordPress customizer to manage footer content like this, as they also explain in the KB article. It’s ideal to minimize the number of places and methods you need to change code so you can remember how to do changes quickly. If you’re using the customizer for the footer at all, why not just leave it all in the customizer? Astra theme, which has taken the Beaver Builder community by storm gives developers the ability to change this easily by building in shortcodes so you can add current_year and site_title, etc. to replace the “Powered by…” in the footer area using the customizer. There’s no need to change the theme for something like this. Instead of overwriting the copyright.php file, you can add the shortcodes yourself. Then, simply add them to the text editor in customizer. Create a Must Use Plugin. This is the best way to create functions that are theme independent and will be used even if you switch themes. You don’t need to activate this. See more on MU Plugins. It automatically runs. Hit Publish and visit your site. It’ll look similar to this. This replicates what many themes show out-of-the-box and gives you complete control over the footer. Now, if you’re building a website for your business or for a client, remove the | Powered by Evan Emerson from the customizer. I’ll remove it from this site once this post is finished. It’s there just in case someone wants to include it, as the Astra theme offers. Just to be thorough, make sure you know how to edit the footer details the WordPress way. The year will automatically update. It comes from PHP and the server time. If this is off, contact your host or get a new host. 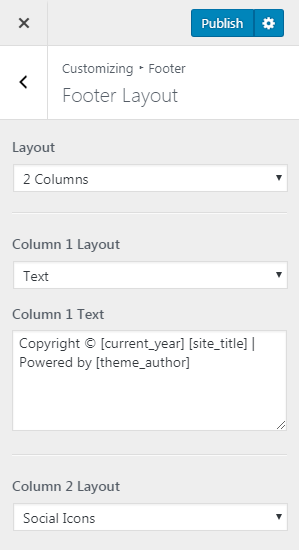 The site title can be changed in wp-admin. Go to Settings -> General and edit the Site Title field. Changing this will change what’s output in many locations of your site and meta, including the footer. The name of the Theme Author and the Author URI the name link to comes from the style.css file of your Beaver Builder child theme. Edit these lines and you’re all set. You can also edit the style.css file using FTP, SSH, etc. But, for people who like to work in one place, this should get it done. Let me know how this works for you. Did you use this or do you have another method of changing the footer credentials area?